Getting a new roof installed is a significant investment for anyone and you should only choose a roofer in Hayward that you can trust for quality work at a quality price. Our team of roofing professionals are highly skilled, up to date with licensers and certifications, and perform lasting and quality work. Customer service is one of our top priorities, and we make sure to maintain honest, straightforward business practices at all times. If you are in the market for roofing in Hayward, then you can’t go wrong with Element Roofing. Whether you’re looking for residential roof installation, commercial roof repairs, or emergency roof leak repairs, our Hayward roofing team is the right one for you. We are leaders in the area in all types of roof installation including eco-friendly cool roofs and are California title 24 roof experts. If you are experiencing rain coming in through your ceiling and are in need of emergency roof leak repair, call us. 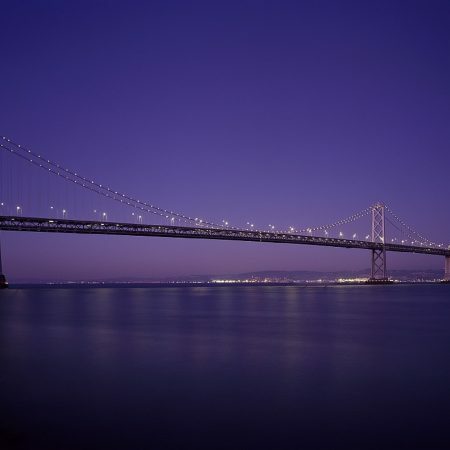 We offer 24-hour emergency service throughout Hayward and the entire Bay Area. Any time, any place. Just give us a call today and we’ll get you taken care of. Thinking of replacing your home’s worn out roof? It’s never too late to start. Your roof shields you from the cold, rain, wind, and unbearable summer heat – but as your roof ages, it cannot do its job as effectively. This can result in higher heating and cooling costs, damaged belongings due to leaks, and more. Getting a new eco-friendly and energy saving roof could be just what your home needs. Save on costly heating and cooling bills by taking advantage of technological advancements in the roofing industry. Cool roofs do not take in as much heat as a regular roof which cuts your need for energy to regulate the temperature inside your home. They are also easy to maintain and last a long time. Getting a cool roof installed on your home is a great idea for any homeowner in the greater Bay Area. Our Hayward roofing professionals will perform a detailed inspection of your current roof and identify any weak spots, and let you ways you can improve the efficiency of your home by upgrading or replacing your current style and condition of the roof. We’ll give you an estimate of the repair costs, complete all necessary repairs, clean up fully after ourselves and then be on our way ASAP. We know getting any type of roof work done is stressful and an inconvenience for any homeowner so we do our best to be in and out as quick as we can to ensure you have a smooth and stress-free experience with your new roof. If your roof is in very poor shape, we’ll likely recommend that you invest in a new roof entirely. 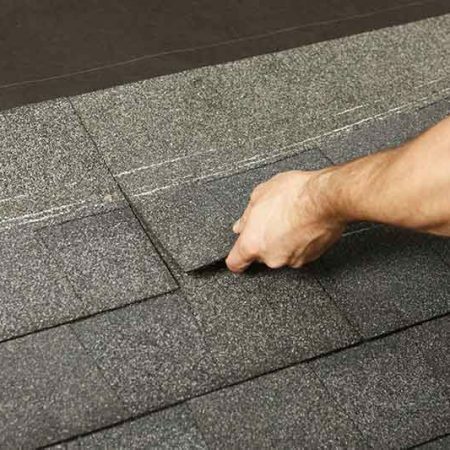 Our professional roofer in Hayward will help you choose between standard shingles, concrete tiles, or other roofing alternatives so that you are getting the most for your money. Are you a business owner in Hayward? Every building, regardless of size, needs to have a regular roof inspection. Occasionally, we’ll find roof leaks that need to be patched, and sometimes we’ll even find issues that require the entire roof to be replaced. As a business owner or manager, it’s important that you stay on top of any roof leaks or inconsistencies – because a small leak today could become a big one tomorrow, resulting in loss of productivity and materials. 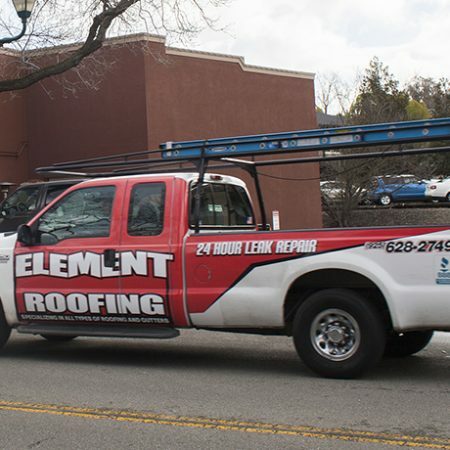 At Element Roofing, we want to be your commercial roofer in Hayward expert. Put us in your emergency contacts list, because when you need emergency roof repairs, we’re the guys for the job. We recommend to all of our Hayward roofing commercial customers that they invest in annual or more frequent roofing inspections. Our Hayward commercial roof repair techs can spot leaks, fix loose shingles, patch holes, and more. This combined with our annual service plan you can be assured that we will find, fix, and replace any issues quickly and early. This fixes tiny problems before they become giant and costly problems for your business. Above all, no one wants the embarrassment or downtime of a leaky roof that your customers can see or that damages your items and supplies. Even if you have a newer model roof, it’s a good idea to contact us to get on our service and inspection plan now, before any normal wear and tear turns into a large and costly service call. As you can see we don’t just offer Hayward roofing, if you live in a nearby city not listed above, call us anyway. After that, we’ll see if we can travel to your home or business and provide you with a top of the line roof repair and installation services. In conclusion, if your home’s roof is getting up there in age. Similarly, you are starting to see water spots form in the ceiling. Then don’t put it off any longer and give us a call for your roofer in Hayward needs. We’ll be more than happy to give you a free and honest estimate to fix or replace your roof. We’ll also walk you through all available options in new roof technology. So you can rest assured that your new roof will be one that lasts. Saving you not just energy but hard earned money as well. Call us at (925) 628-2749 and check out our reviews on Yelp.